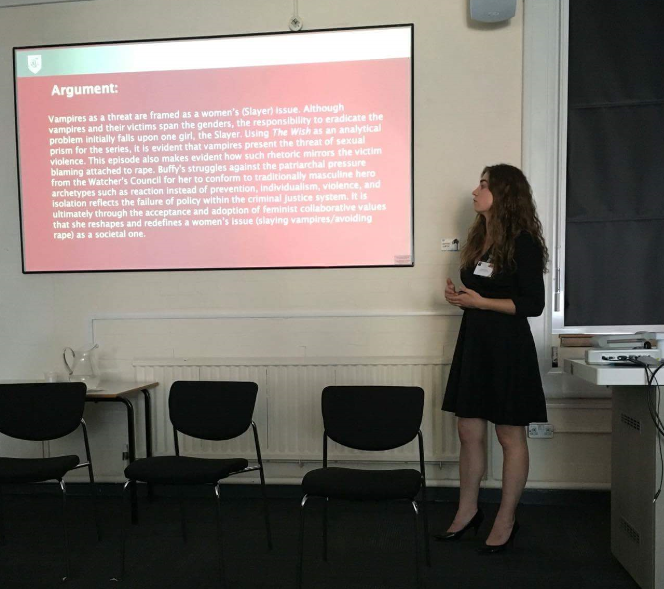 PhD student Cheyenne Foster presented at EuroSlayage (Society of Whedon Studies) in London. 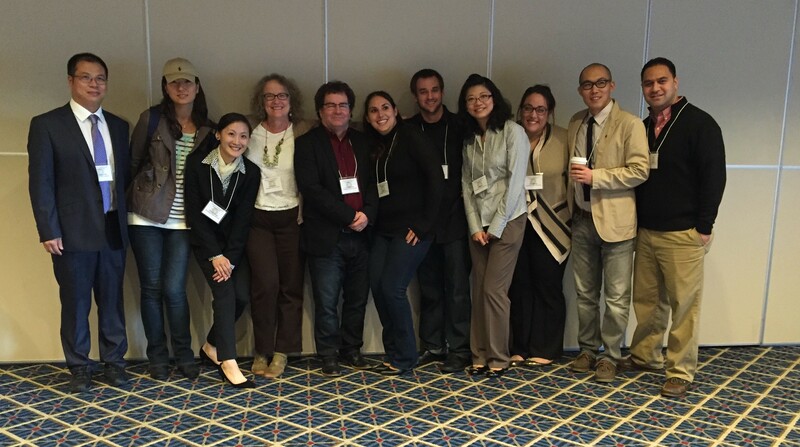 Faculty and staff attended the Western Association of Criminal Justice (WACJ). Congratulations to PhD student Youngki Woo, who won 1st place for the student poster competition. 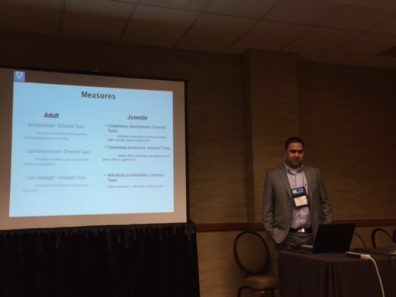 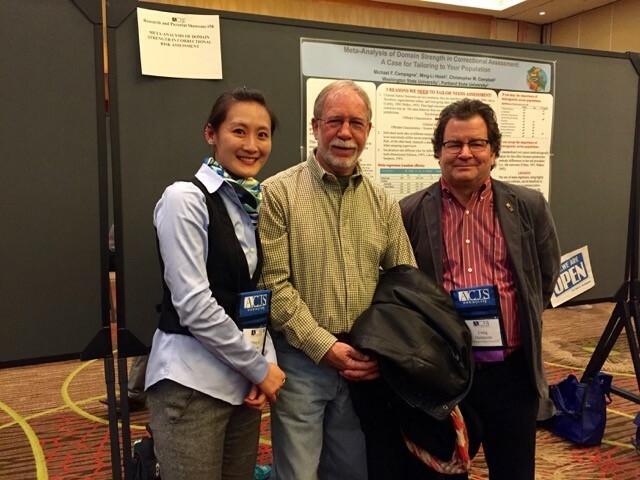 PhD student Moana Hafoka presented at Academy of Criminal Justice Sciences (ACJS) this spring in Denver, CO.
PhD candidate Ming-Li Hsieh (left) and Department Chair Dr. Craig Hemmens (right) at ACJS. 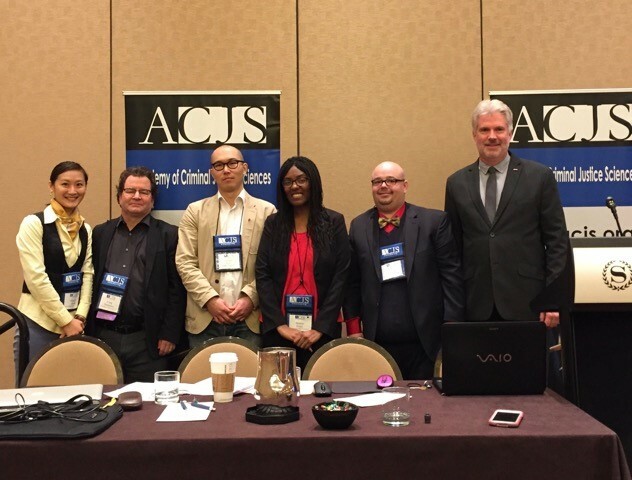 Graduate students and Department Chair Dr. Craig Hemmens at ACJS. 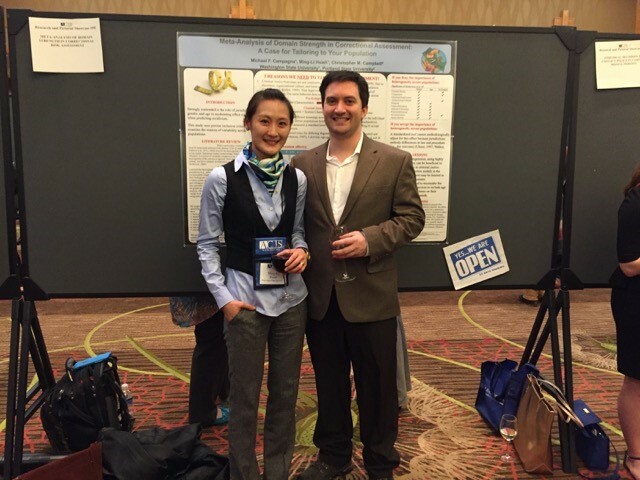 PhD candidates Ming-Li Hsieh and Michael Campagna at ACJS. 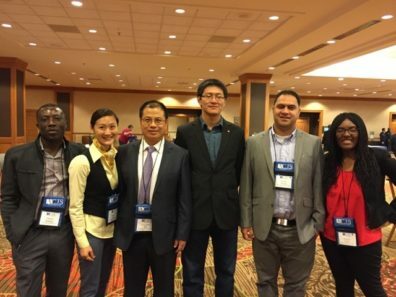 Faculty and graduate students at ACJS.